Today Her Majesty Queen Elizabeth II hosted annual family pre-Christmas lunch at Buckingham Palace. For the family lunch, Duchess was seen in the car with husband Prince William, her both kids Prince George and Princess Charlotte along with their nanny Maria Borrallo. They joined other 50 members of royal family along with Prince Charles, Duchess of Cornwall, Prince Harry, Zara Phillip and others. After a long time today we saw a glimpse of both Cambridge children. They were adorable and seem grown up. The Buckingham Palace shared the decoration of Christmas tree done in palace at twitter. 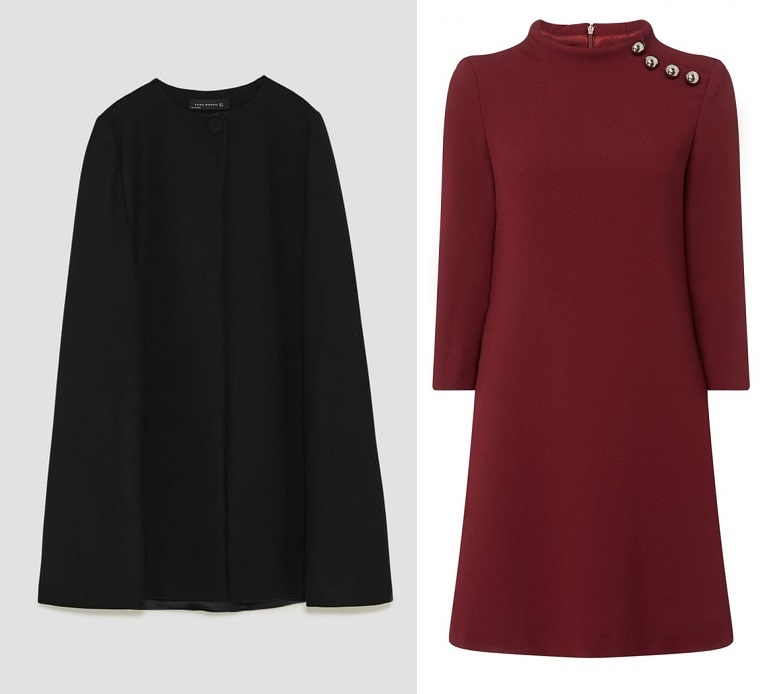 From sartorial view, it seems Duchess was wearing another Zara piece today along with what seems like her Goat Eloise tunic dress. 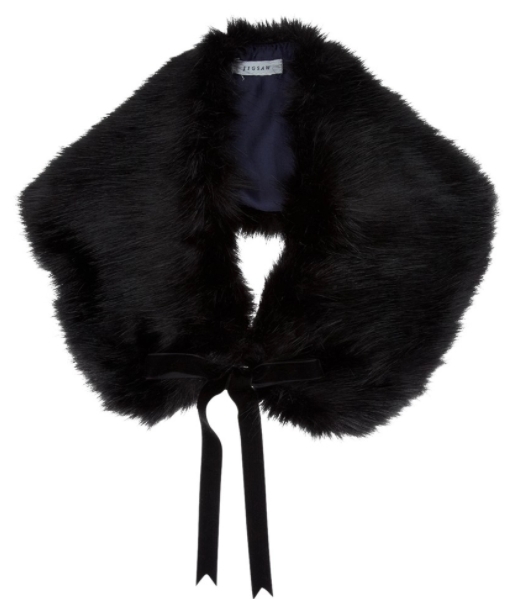 Long cloth cape featuring round neckline, side vents, back pleat and lined button fastening at the neck is currently retailing at Zara for £95.99. 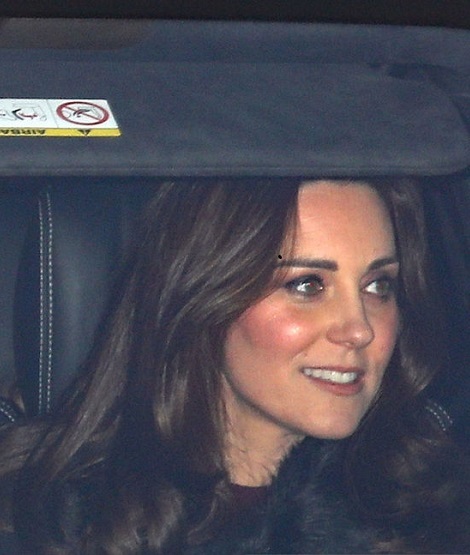 Kate seems to accessorized the outfit with a black faux fur collar Jigsaw. Duchess paired the outfit with the statement earrings that are part of her wardrobe for more than a decade and we saw them on same event in 2014.